In a tweet on Monday, minutes before the 12 pm deadline given by FIFA for the resolution of the leadership tussle in the Nigerian football governing body, Mr Laolu Akande, Special Assistant to Vice President Yemi Osinbajo, said the government had already informed FIFA of the decision. The leadership tussle in the NFF had taken a major twist on July 2 when Mr Chris Giwa took control of the NFF secretariat after the Sports Minister, Mr Solomon Dalung, directed the football federation to comply with a Supreme Court ruling of April 27, 2018. In the ruling, the Supreme Court had restored the orders of the Federal High Court setting aside the election won by Pinnick. Both Giwa and Pinnick have been engaged in a legal battle for the leadership of the NFF since 2014. Giwa was declared the winner of an election which was held in Abuja on August 26 of that year, while Pinnick won a second poll that was conducted in Warri on September 30, 2014. After Giwa took over control of the NFF Secretariat, world football governing body FIFA, faulted the move and announced on July 13 that it recognised Pinnick as the NFF president. Just over a month later, with the leadership tussle unresolved, on August 13, FIFA threatened to suspend Nigeria from its activities. It said the country would be suspended on August 20 (today) if the NFF offices “are not handed back to the legitimate NFF executive committee under Amaju Pinnick, who was duly elected on September 30, 2014”. If the country is suspended, FIFA said it would lift the sanction “only once the NFF, under Pinnick and General Secretary Mohammed Sanusi, confirms that it has been given back effective control of the NFF and its offices”. 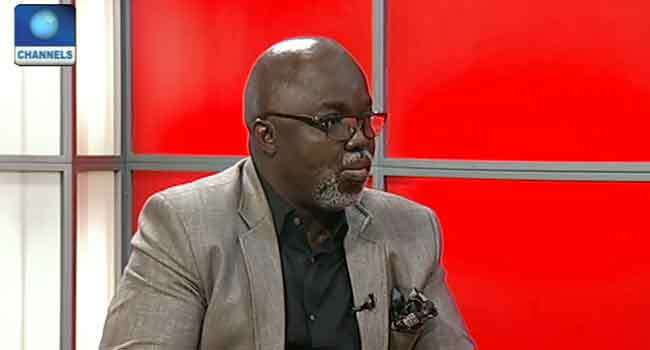 It remains unclear if the decision of the Federal Government to recognise the Pinnick-led executive would finally bring the prolonged leadership crisis in Nigerian football to an end.